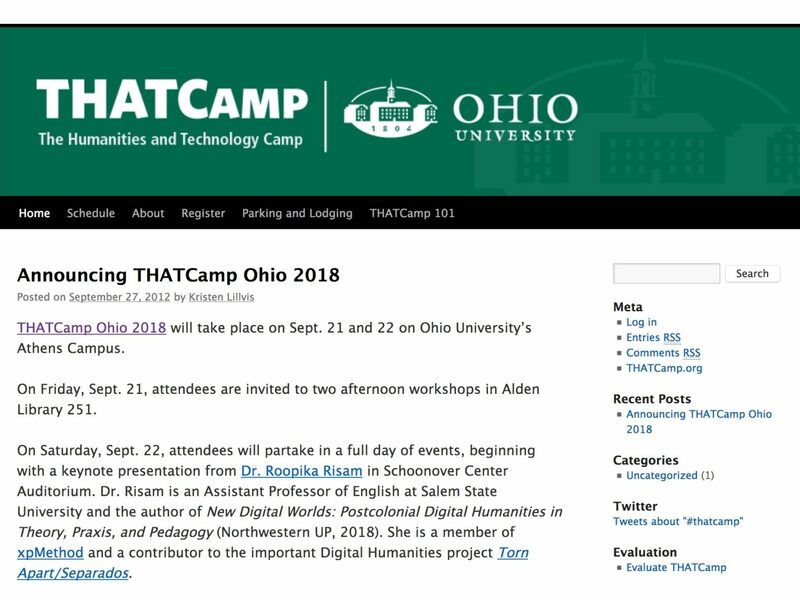 I will be participation in and presenting at this month’s OHIO’s first THATCamp on September 21 and 22, 2018. I am actually a little surprised at the longevity of the THATCamp format, but I am glad that OHIO is finally embracing and supporting the digital humanities, humanities and technology, and other interdisciplinarity. I will be presenting a short 45-minute workshop on teaching (with) digital games on Friday, September 21 and then participating in the “unconference” on Saturday, September 22. In Gaming (2006), Alexander Galloway argues, “Video games render social realities into playable form” and “play is a symbolic action for larger issues in culture.” As gaming communities and the gaming industry attempt to address the need for diversity and inclusion in games, how might we understand how the algorithmic underpinnings of programming and game design allow for and problematically constrain and recuperate queerness and difference? Or how might we unpack the ways characters of color are often rendered as either lighter-skinned protagonists or darker-skinned enemies? Central to this workshop is the definition and demonstration of close playing or critical ways of analyzing, engaging, and even teaching games to address gender, sexuality, and race in digital games. Humanities scholars continue to make significant discoveries using a variety of text analysis methods and tools. Ohio State’s Digital Humanities Librarian Leigh Bonds will review some of those discoveries and the methods and tools used to make them. She will also guide participants through using the open source Voyant Tools to analyze their selected text. Participants are encouraged to bring a link to an online text or a text in a Word, pdf, or plain text format. For more information about #THATCampOHIO18, go to: https://www.ohio.edu/instructional-innovation/ctl/events/thatcamp.html. This entry was posted in #fifthyearfaculty, Conferences, Events, Gaming, Teaching and tagged #WeNeedDiverseGames, teaching with video games, THATCamp OHIO 2018. Bookmark the permalink. Presenting Today at THATCamp OHIO 2018!